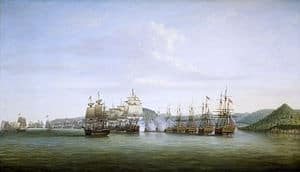 The Battle of St. Lucia or the Battle of the Cul de Sac was a naval battle fought off the island of St. Lucia in the West Indies during the American War of Independence on 15 December 1778, between the British Royal Navy and the French Navy. On 7 September 1778, the French governor of Martinique, the marquis de Bouillé, surprised and captured the British island of Dominica. On 4 November, French Admiral Jean Baptiste Charles Henri Hector. comte d’Estaing sailed for the West Indies from the port of Boston. 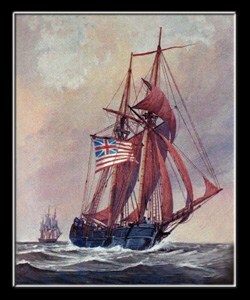 On that same day, Commodore William Hotham was dispatched from Sandy Hook, New York, to reinforce the British fleet in the West Indies. Hotham sailed with “five men of war, a bomb vessel, some frigates, and a large convoy.” The convoy Hotham was escorting consisted of 59 transports carrying 5,000 British soldiers under Major General Grant. The French fleet was blown off course by a violent storm, preventing it from arriving in the Caribbean ahead of the British. Admiral Samuel Barrington, the British naval commander stationed on the Leeward Islands, joined the newly arrived Commodore Hotham on 10 December at the island of Barbados. 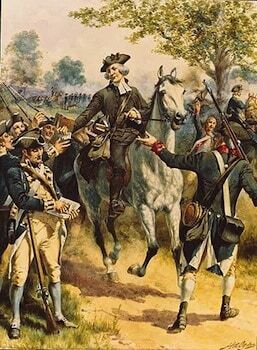 Grant’s men were not permitted to disembark and spent the next several days aboard their transports. Barrington and Hotham sailed for the island of St. Lucia on the morning of 12 December. Admiral Barrington was alerted to the presence of the French fleet by the frigate Ariadne. He organised his line of battle such that Isis and his three frigates (Venus, Aurora, and Ariadne) were close to shore guarding the windward approach, and he placed his flagship, Prince of Wales, toward the leeward. 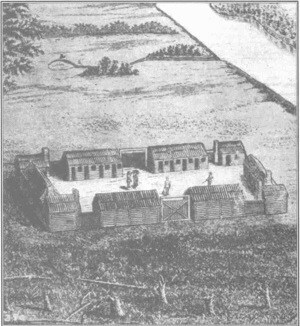 Barrington placed his transports inside the bay but behind his battle line. Barrington’s defensive strategy took him the entire night of 14 December, and by 1100 hours 15 December, most of the transports had been safely tucked behind his line. At 1100 hours 15 December Admiral d’Estaing approached St. Lucia with ten ships of the line, and was fired on by one of the shore batteries. D’Estaing then moved to engage Barrington from the rear, and a “warm conflict” raged between the two fleets, with the British supported by two shore batteries. D’Estaing was repulsed but succeeded in reforming his line of battle. At 1600 hours d’Estaing renewed his assault by attacking Barrington’s centre with twelve ships of the line. Again, heavy fire was exchanged. and the French were eventually repulsed for a second time. On 16 December Admiral d’Estaing appeared to be preparing for a third assault against Admiral Barrington’s line, but then sailed away towards the windward. On the evening of 16 December d’Estaing anchored in Gros Islet Bay with “ten frigates and twelve sail of the line, &c.” Admiral d’Estaing’s failure to break Barrington’s line on 15 December spelled doom for the local French garrison, which surrendered on 28 December.